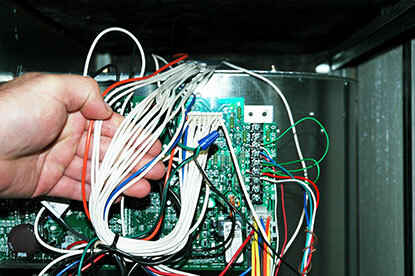 When Was the Last Time You Really took A Look At your Indoor Fan Motor? 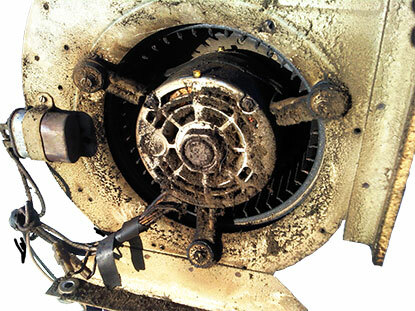 The blower motor in your furnace should, ideally, never get dirty like this. Dirt build up like this on the indoor fan motor usually means that the air filter in the furnace is being bypassed during the air conditioning cycle. 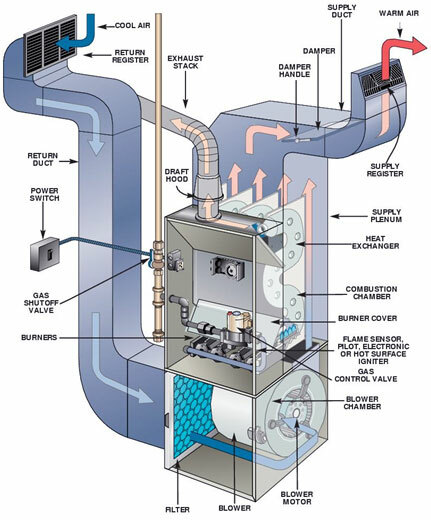 Dirt blower motors on the furnace usually means dirty evaporator coils and dirty air ducts. Regular maintenance and a quality good fitting air filter in your furnace help. Nearly all fan motors in today’s furnaces have 4 or more speeds. Some of the fan motors ramp all the way up to 1700 rpms. Older furnaces equipped with belt driven fan motors are now scarce. Most of these furnaces have been replaced due to their age. If your furnace has a belt driven fan motor should have it checked out every years for cracks in the heat exchanger and gas leaks. Furnaces more than 20 years old can become dangerous overnight. To really understand how small an allergen is at 0.1 microns consider that the period at the end of this sentence will hole over 18.9 million particles that size. These particles are not visible to the naked eye and cause the most irritation, since you cannot cough or sneeze them out once they have penetrated your body. AccuClean removes them keeping you and your family in a cleaner indoor air environment. Many motors, like this variable speed motor, have flexible speed control. We set the indoor fan motor to blow 350, 400 or 450 cubic feet of air per minute per ton. After we set the amount of air the circuit board measures the amperage draw that the motor is using and calculates out how much electricity it is going to take to achieve the set amount of airflow. It is very important to have the proper size air ducts with this style of motor as poor quality or too small of ducting will cause the motor to ramp up and turn this normally extremely quiet motor into a noisy one.